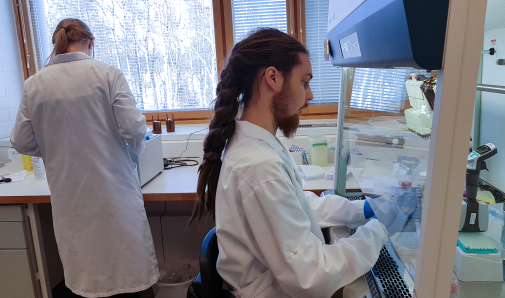 We opened a new cell lab to replace the previous smaller one in January to answer to the growing demand for our services, and it has been in active use ever since. 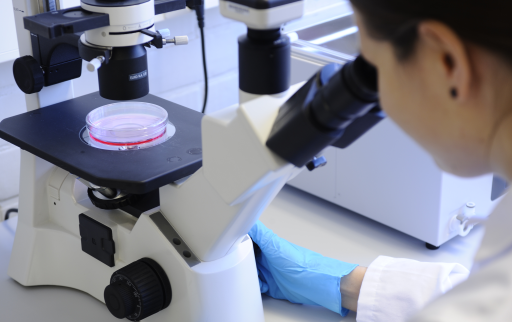 As the lab itself contains the typical assortment of lab equipment needed for cell-based work, such as, laminar flow cabinets, incubators, microscopes, etc., this blog post focuses more on what kind of studies we perform there. The most often utilised cells in our studies are primary hepatocytes. Cryopreserved, pooled primary hepatocytes from different species are frequently used in our metabolism studies for prediction of clearance parameters and metabolite identification. Hepatocytes are often the better choice for metabolism studies as they provide more complete and intact hepatic drug-metabolising system than microsomes or other liver fractions, allowing more comprehensive and accurate metabolite profiling. Hepatocytes are also used in our drug-drug interactions studies, namely CYP inhibition and induction assessment. For CYP inhibition in hepatocytes, we use the N-in-one method to determine direct and time-dependent inhibition towards all the major CYP enzymes in the same incubation. The inhibition assays can be performed with hepatocytes suspended in either cell culture media or in human plasma. The advantage of performing the incubations in plasma is that it already takes into account the effects of plasma protein binding, which would have to be experimentally determined for the calculation of the inhibition parameters. Plateable and inducible primary hepatocytes are frequently used for CYP/UGT induction studies. Most often, however, we use HepaRG cells in our CYP induction screening assays for their robustness and lack of donor variability. For more comprehensive CYP induction assessment, we use primary human hepatocytes from individual donors, as recommended by the regulatory authorities. In addition to enzyme induction studies, the highly stable and versatile HepaRG cell line is useful also for toxicity screening due to ability to detect metabolism-dependent toxicity. 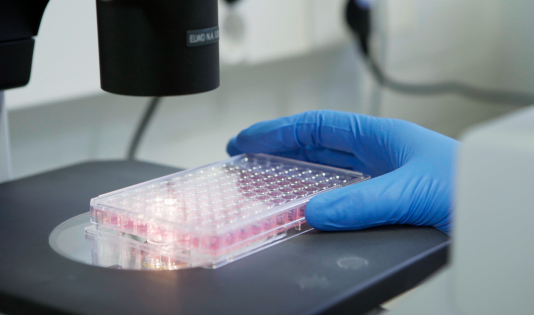 We utilise HepaRG cells in our cytotoxicity assays, which are based on LDH release or ATP content measurement. These assays are often performed in parallel to other ADME assays, e.g, CYP induction. In addition to cytotoxicity, we conduct genotoxicity studies in our cell lab, such as micronucleus test with actively dividing mammalian cells. The cell lab is used also for preparing and pre-culturing cells for permeation and transporter studies. For permeability assessment, we mostly use Caco-2 cells as the model has long been regarded as the golden standard for predicting oral drug absorption by the industry. Transporter studies are carried out with single human transporter expressing MDCK cell monolayers for efflux and HEK293 cells for uptake transporters. Some of the cell-based studies take more than a week to perform as the cells may need to be cultured first and also the actual active phase of the study can last for several days, as is the case in induction studies. A tiny mistake can compromise the whole assay resulting in days of work lost. 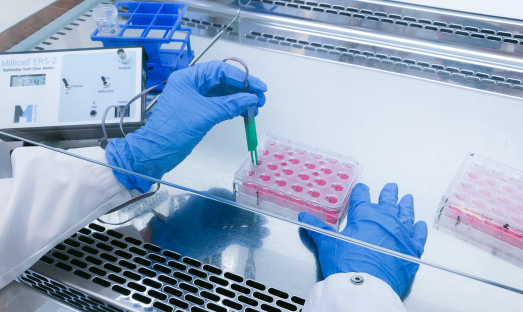 Therefore, aseptic techniques, extra caution and quality controls are applied when conducting cell-based assays. These extra quality controls might be as simple as a visual check of the cells by microscope in induction assays or more quantitative in nature as the TEER measurement for assessing cellular barrier integrity in Caco2 permeation studies.